Apple has been slowly but surely revolutionizing healthcare with its products and services since the introduction of the HealthKit framework and Health app in 2014. Now it is extending the benefits to the estimated 9 million veterans across the U.S., who will be able to access medical information from participating institutions inside the Health app. 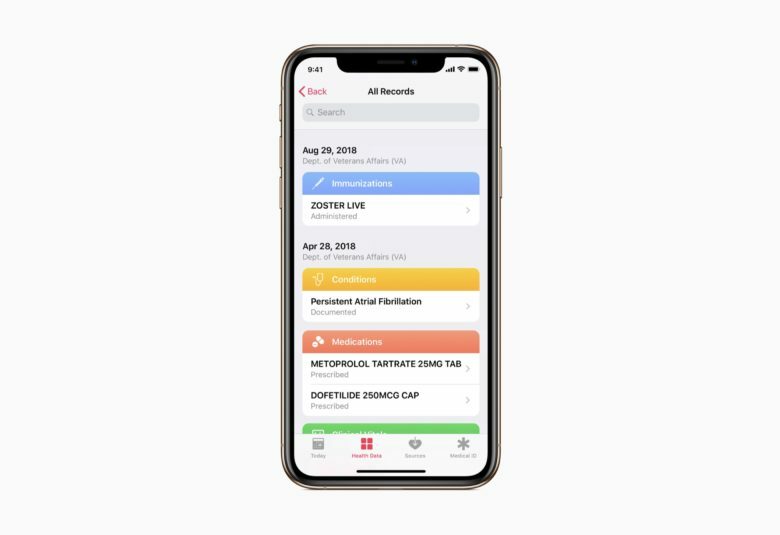 The data available to veterans will include allergies, conditions, immunizations, lab results, medications, procedures, and vitals, Apple explains. It will be displayed alongside other information in the Health app, such as Apple Watch data, to deliver a single, “integrated snapshot” of their health profile. And because this is Apple, all data is encrypted and protected by the user’s iPhone passcode, Touch ID, or Face ID. The Wall Street Journal reported late last year that the deal between Apple and the VA will include technical support and special tools that will allow veterans currently enrolled in the system to transfer their health records to the iPhone. Apple says that Health Records on iPhone is the first record-sharing platform of its kind available to the VA.